Lola’s 1st Birthday Cake Smash! 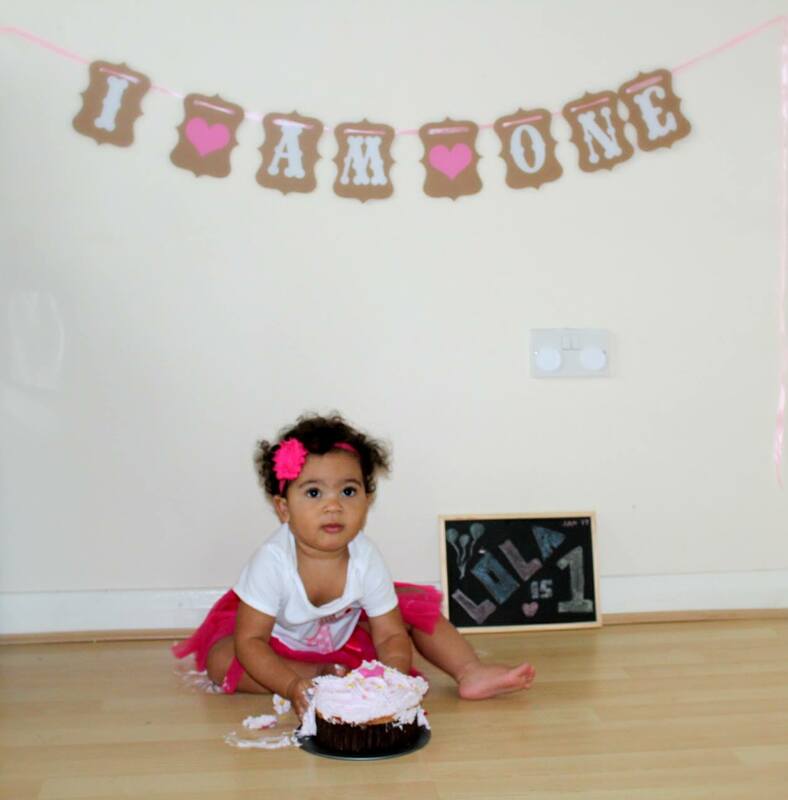 So this is the first of a few posts over the next couple of weeks about Lola’s 1st Birthday! 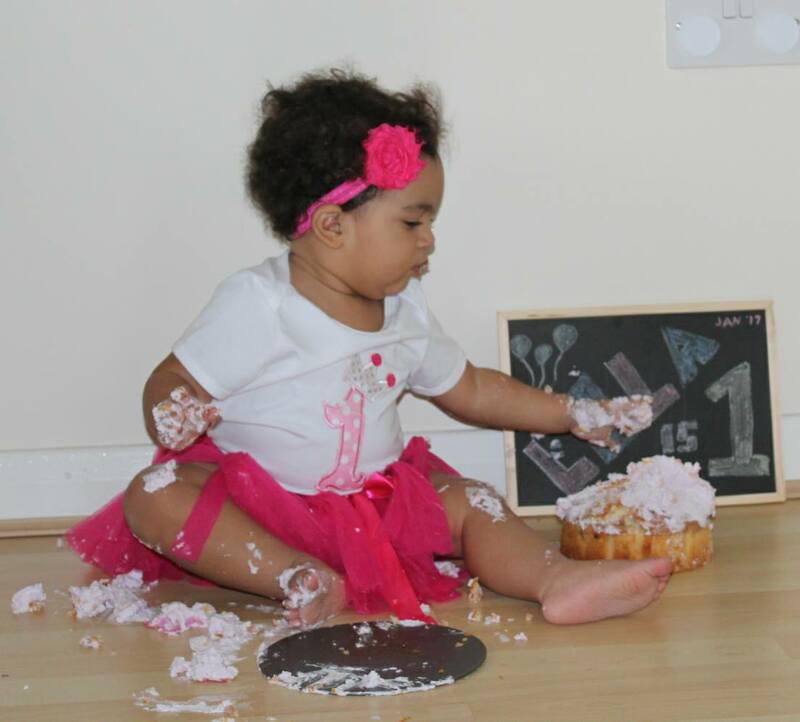 Lola turned 1 on Sunday and we decided to celebrate her turning 1 by doing a cake smash the previous week! 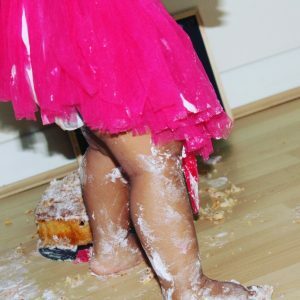 We couldn’t afford to spend a fortune on going to a studio to have it photographed so we decided to do a DIY Cake Smash at home! I’m not totally keen on all the crazes that have come over from America but I really do love this one! 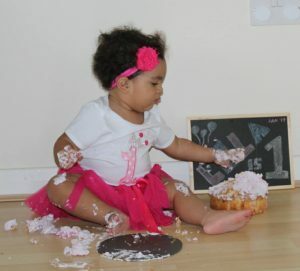 It usually happens on a child’s first birthday (or sometimes just before) that they take part in a Cake Smash. 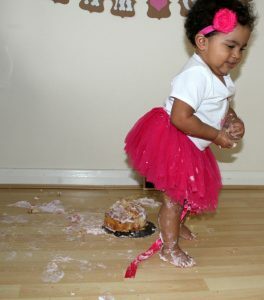 The idea is that it’s the first take of cake for the baby and they can do what ever they like with the cake! People spend hundreds making sure they have the right outfit/background and more importantly the right cake! I ordered this gorgeous outfit from Amazon! I had been unsure of what exactly I wanted Lola to be wearing in it! Part of me only wanted a nappy but the other part really loved the idea of a special outfit! I found this gorgeous outfit on Amazon! And I ordered it through Amazon Prime so it arrives the following day! I wanted a banner for the background that had Happy Birthday or I am One! This banner I found on Amazon as well as was perfect for the background! I was going to make a cake but we totally ran out of time! So I ended up buying a cake from Asdas. They have a fantastic range of large Cupcakes for only £6 so it was perfect for this! I picked up a chalkboard from poundland! Can’t go wrong with it at all and I thought to myself it wouldn’t matter if we used it for this and it ends up being broken and going into the bin! So here are some of the Cake smash photos! 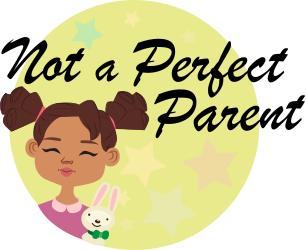 I’m sure I will be sharing more and more on social media the next few days as well! We have loved doing Lola’s Cake Smash! Would we do it again at home? Yes we would! Aww! How adorable! Happy Birthday Lola.